One hundred and ten members of the “Friends” attended the 30th Anniversary Birthday Tea at the Eastbourne Centre, a venue we were using for the first time. 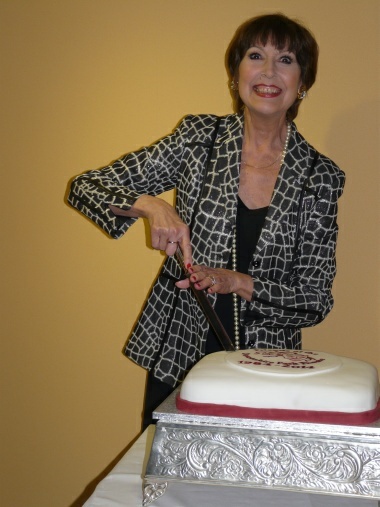 The guest of honour was Anita Harris, one of our five patrons who was accompanied by her husband, Mike. Entertainment was provided by “The Polyphony Ensemble” who sang a variety of numbers, some well known, others less known, finishing their presentation with a sing-along from our Members who joined in with gusto. Before everyone settled down to a delicious tea Anita cut the birthday cake and, in her usual effervescent style, sang a poem she had written about the joy of attending the Devonshire Park Theatre. 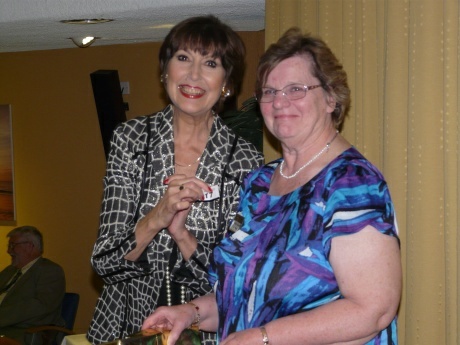 She also chose the winning tickets for the raffle which raised the sum of £188. Everybody agreed that it was a most enjoyable afternoon.